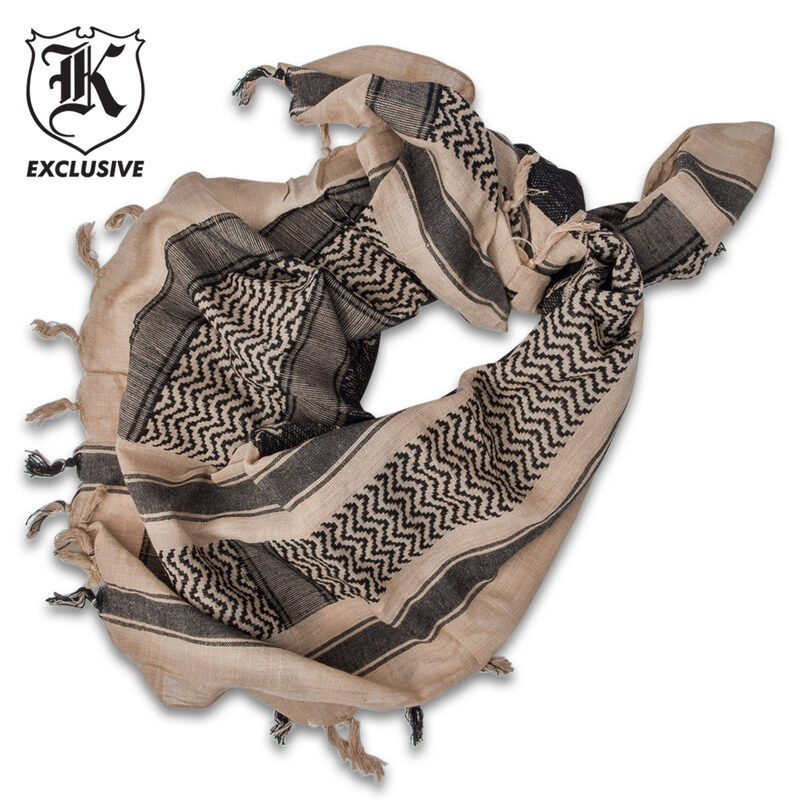 Khaki/Black Desert Scarf | BUDK.com - Knives & Swords At The Lowest Prices! 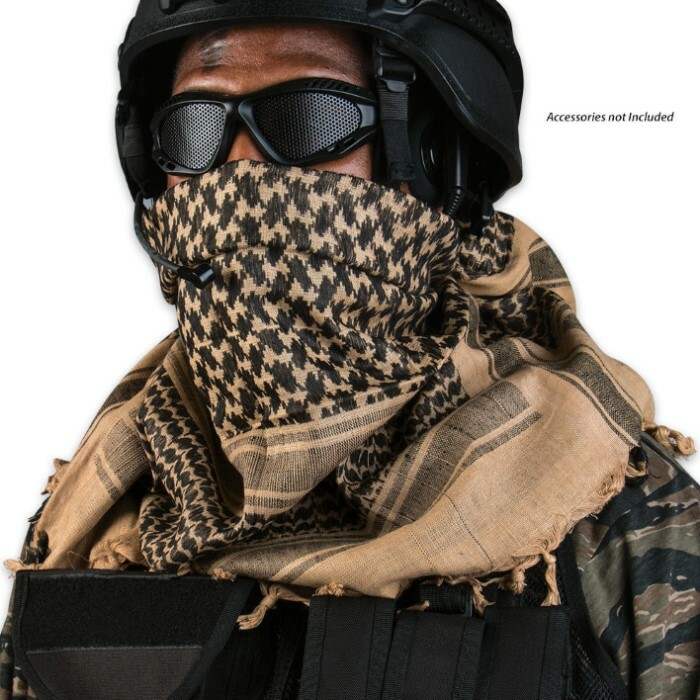 Get your very own authentic Freedom Fighter headdress today! Each shemagh is reversible and constructed of 100% woven cotton. 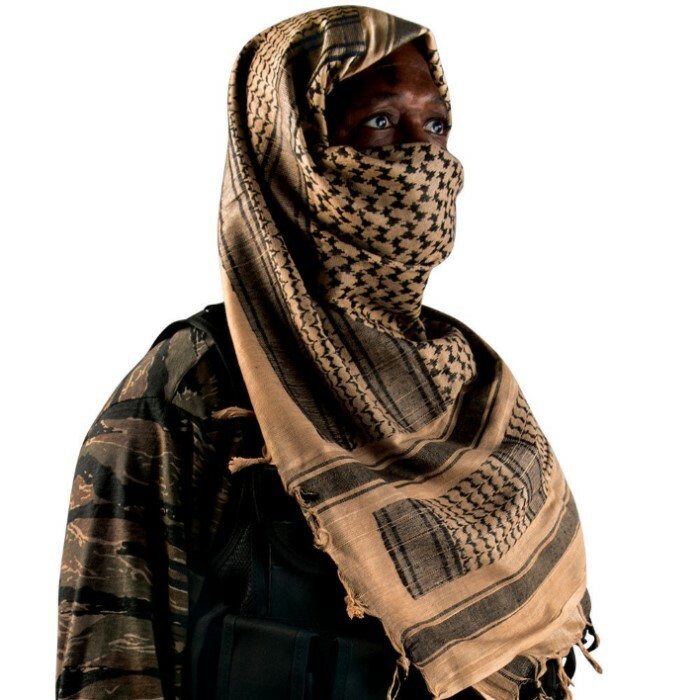 The 40" x 40" scarf is useful for keeping the sun and sand off of your skin. Great for emergency water filtration, tourniquet, sling, weapon (w/ a rock), ground cover,etc. Bugout bag necessity. Good product It needs a Hem so that it will not unravel.